Suzanne Shank is Chairwoman, CEO and a co-founder of Siebert Cisneros Shank & Co., LLC. During her tenure as CEO, Siebert Cisneros Shank has grown from a start-up investment banking firm in 1996 to one which has participated in over $2 trillion in municipal bond, corporate bond and equity transactions. 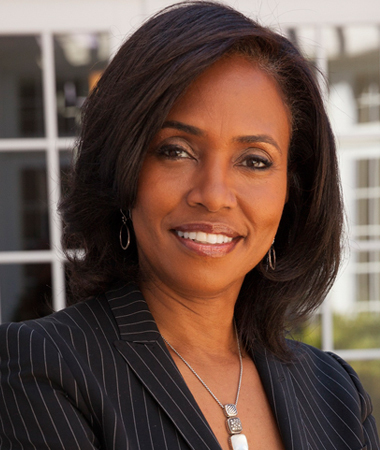 A 30 year veteran of the financial services industry, Ms. Shank has positioned the firm to hold the distinction of being the top ranked minority and woman owned municipal bond underwriter for 18 consecutive years and the first MWBE firm to rank in the top 10 among all firms as lead manager, and first to lead a deal over $1 billion in principal amount. Ms. Shank is active in various industry and civic organizations and serves on several boards. She serves as a Director of Pensare Acquisition Corp. (NASDAQ:WRLSU) and is on the boards of the Skillman Foundation, the Bipartisan Policy Center Executive Council on Infrastructure, SIFMA Board of Directors, Wharton Graduate Board of Trustees, Spelman College Board of Trustees, the Detroit Institute of Arts, the Detroit Regional Chamber Board of the Directors and is a member of the International Women’s Forum, among others. Ms. Shank was recently appointed to the SEC’s Fixed Income Market Structure Advisory Committee. Ms. Shank has won numerous awards and honors throughout her career including receiving the 2017 Shot Caller Award presented at the BET Black Girls Rock! Ceremony, the Austin Koenen Career Achievement Award by the Municipal Forum of New York in May, 2017, and the 2016 Freda Johnson Award for Trailblazing Women in the Private Sector by The Bond Buyer. She was also named one of the 100 Most Influential Women in 2016 by Crain’s Detroit Business. Ms. Shank received the Whitney M. Young Jr. Service award by the Greater New York Council of the Boy Scouts of America in October, 2014. In April, 2014, Ms. Shank was inducted into the 2014 Academy of Distinguished Engineering Alumni at Georgia Institute of Technology. Ms. Shank has been recognized by U.S. Banker Magazine as one of the “Top 25 Women in Finance”, by Black Enterprise Magazine as one of the “50 Most Influential Black Women in Business” and one of the “75 Most Powerful Blacks on Wall Street” and by Women in Public Finance as “She’s Our Hero”. Ms. Shank was selected by the Wharton School of Business from among 100,000 graduates as one of its “125 Influential People and Ideas”. She has appeared on Wall Street Week, CNBC and Bloomberg TV promoting the strength of the municipal bond market. A native of Savannah, GA, Ms. Shank is a graduate of the Wharton School, University of Pennsylvania with a Master of Business Administration degree in Finance, and the Georgia Institute of Technology with a Bachelor of Science degree in Civil Engineering.